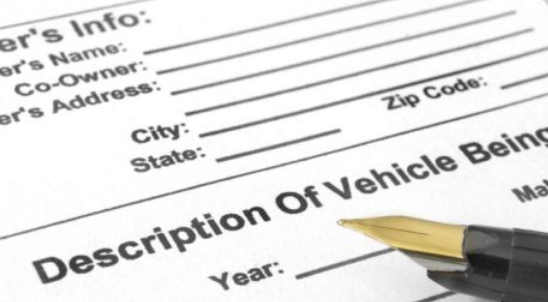 When purchasing a vehicle in Ohio, you will need to obtain the required paperwork from the seller in order to register and title the car in your name with the Ohio Bureau of Motor Vehicles (BMV). If you buy a car from a dealer, they will process all the required paperwork on your behalf. Continue reading this article to get more information about the paperwork required when buying a car in Ohio. The vehicle title, which must signed by all previous owners listed on the title. This title must be notarized. Form BMV 3724 (Odometer Disclosure Statement). A bill of sale if you buy the car from a dealer or a private seller and if the purchase price is not listed on the certificate of the title. You must take the above documents to the nearest county clerk’s office in Ohio. You must title the car within 30 days from the date of purchase. You must pay $15 title fee and pay the required sales tax, which varies depending on the purchase price. Don’t buy a vehicle without a title certificate. The title is an important document that can be used to show the rightful owner of the car. If the title is missing, ask the seller to apply for a duplicate copy and give it to you before making full payment for the vehicle. NOTE: If you are a resident of e-check County, you must obtain valid EPA emissions check documentation before registering your car. Whether the vehicle has been involved in any accident. This knowledge can help you negotiate a good price for the vehicle you intend to purchase it.